The call comes after BASC accused Dyfed-Powys Police of ignoring Home Office guidance on applicants’ medical checks. BASC was tipped off by a member that the force was making shotgun and firearm certificate applicants foot the bill for GPs’ letters and insisting the applicant request their own medical report direct from their GP. BASC took action by writing to Dyfed-Powys Police and has been told by the force the changes have been made because of cost cutting. BASC is concerned that other police forces, which are looking to cut costs, could follow suit. 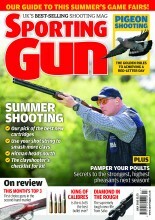 The organisation will be at the forefront of protecting shooters’ interests in the licensing process. BASC’s advice to members if they come across any other police force which is asking applicants to meet the cost of medical reports is to make a formal written complaint to that force’s professional standards or complaints and discipline department and to send BASC’s firearms department a copy of the letter and any response.